Look at this. This is the devil that religious people are frightened of. Imagine how frightened they are of the Cookie Monster. 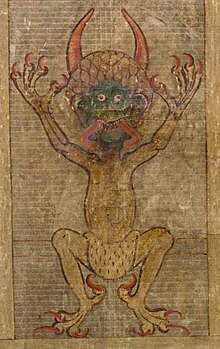 Image from the Codex Gigas.